KNEA/KPAC last night interviewed Republican candidates for Insurance Commissioner and has voted to recommend Vicki Schmidt for election in the Republican primary. Vicki is currently a Republican state senator from Topeka and has an outstanding legislative record in support of public schools, students, and public school teachers. She serves as Chair of the Public Health and Welfare Committee and as Vice-Chair of the Robert G. Bethell Joint Committee on Home and Community-based Services and KanCare Oversight. In the past, she has also served on the Senate Education Committee. As a practicing pharmacist, Vicki knows the challenges faced by under-insured and uninsured Kansans. We are confident that Vicki Schmidt will fight hard to find ways to bring quality, affordable health care coverage to every Kansan. At a time when some legislators are looking to force all school employees into one high deductible state insurance plan – a plan that will drive up out of pocket expenses for school employees and reduce coverage – it is critical to have an advocate for educators and affordable health care in the office of Insurance Commissioner. 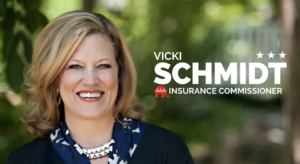 KNEA/KPAC is proud to recommend Vicki Schmidt for Insurance Commissioner. Hate Campaign Mail? Vote NOW! Need we remind everyone that early voting is now open around the state? You don’t have to wait until election day to cast your ballot. Look over your candidate lists, head to an early voting site, and cast your ballot TODAY! 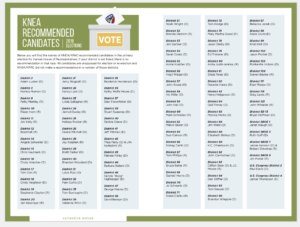 As an added bonus, candidates usually track advance voting records and remove the names of those who have cast their ballots from their mailing lists. That’s right – you have the opportunity to avoid some, if not all, of the nasty campaign mail just by voting early! 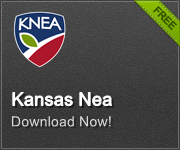 Click here for a link to the KNEA/KPAC recommended candidates. We hope you’ll review it and then head out to VOTE! And if you’ve never voted early before, read this testimonial in the Shawnee Mission Post.